Like many companies, your firm may offer employee benefits like health insurance or vision care. A good benefits package can help you attract new workers and retain the ones you have. Yet, benefits must be managed properly. Mistakes you make in administering fringe benefits can generate lawsuits against your firm. You can protect your company against such suits by purchasing employee benefits liability insurance. Benefits administration is a complex job that involves many tasks. Benefits administrators must explain benefits to employees, enroll workers in plans, add or remove beneficiaries, and keep accurate records. Mistakes are inevitable and even small errors can have far-reaching consequences. For example, suppose you operate a real estate management business. You have hired a new employee (Bob) to do maintenance work at an apartment building your firm manages. Bob completes the necessary paperwork to enroll in the company-sponsored health plan. Unfortunately, Martha, your human resources manager, makes a clerical error that prevents Bob from being enrolled. Nobody notices the error. Six months later, Bob is hospitalized with a serious illness and is shocked to discover he has no health insurance. When his medical bills pile up, Bob files a lawsuit demanding reimbursement of his costs. His suit names both Martha and your firm. Suits like Bob’s aren't covered under commercial general liability policies. An administrative error does not qualify as an “occurrence” as that term is defined in the policy. Moreover, clerical errors generally cause financial injury rather than bodily injury or property damage. Financial injuries aren't covered by general liability policies. You can insure your company against claims resulting from administrative errors by purchasing employee benefits liability (EBL) coverage. This coverage can be added to your general liability policy via an endorsement. EBL insurance covers damages the insured becomes legally obligated to pay because of an act, error or omission committed in the administration of employee benefits. While some insurers provide this coverage using a standard ISO endorsement, many utilize endorsements they've developed themselves. Thus, EBL endorsements may vary somewhat from one insurer to another. The types of errors that are covered by an EBL endorsement usually depend on the meaning of the word administration. The definition of this term varies but it generally includes acts, errors, or omissions in the activities described below. Describing benefit plans and eligibility rules to employees, other eligible family members, and beneficiaries. 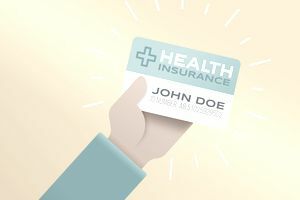 For example, a benefits manager mistakenly tells an employee that her cousin, with whom she shares a home, is eligible for the company-sponsored health insurance plan. Maintaining files and records related to employee benefits, whether the records are electronic or paper. For instance, a benefits worker accidentally erases an employee’s electronic file or loses his or her paper file. Enrolling, maintaining and terminating employees, eligible family members, or beneficiaries in benefit plans. Due to a clerical error, Martha (in the previous example) failed to enroll Bob in the company-sponsored health insurance plan. Life, accident, dental, medical and other types of insurance plans. Pension, profit sharing, stock ownership, savings, and other similar plans. Social security, workers compensation, disability, and unemployment benefits. Other benefits like tuition assistance, vacation plans, and maternity leave. Most EBL endorsements provide coverage on a claims-made basis. This means they cover claims made during the policy period. Claims made against an insured after the policy has expired aren't covered. Many EBL endorsements include a retroactive date, which is usually the date your EBL coverage first began. An EBL claim is covered only if it results from an act, error or omission that occurred on or after the specified retroactive date. Most EBL endorsements include an option to purchase an extended reporting period (ERP). An ERP is usually available if your insurer cancels or non-renews your EBL insurance or replaces it with occurrence coverage. The length of the ERP varies from one year to five years. Employee Benefits Liability coverage usually includes two separate limits: an aggregate limit and an "each employee" limit. The aggregate limit is the most the insurer will pay for damages arising out of all administrative errors. The "each employee" limit is the most the insurer will pay for all damages sustained by any one employee, his or her family members, and beneficiaries. Some EBL endorsements include a limit that applies to each claim rather than each employee. Many EBL endorsements include a deductible. The deductible typically represents the employer’s maximum out-of-pocket expense for each employee who files a claim. EBL insurance excludes any liability you may have as a fiduciary under the Employee Retirement Income Security Act (ERISA). A fiduciary is someone who has discretionary control over benefit plans and their assets. EBL coverage also excludes claims stemming from poor financial advice or predictions of performance. For instance, suppose a benefits administrator tells an employee that the company’s 401K plan will generate a 400% return in one year. If the employee subsequently sues the benefits worker because his prediction did not pan out, the claim will not be covered. You can insure your business against claims arising from your mismanagement of benefit plans by purchasing fiduciary liability coverage. Other exclusions found in EBL endorsements include Fraud, Breach of Contract, Bodily Injury and Property Damage, Employment-Related Practices, and Insufficient Funds (to pay benefits). An EBL endorsement may include additional exclusions not listed here. Do You Need EBL Coverage? The need for EBL coverage depends on factors such as employee headcount and the types of benefits offered. A firm that employs a small number of workers or that offers few or no benefits will not require this coverage. Your agent or broker can help you decide whether to purchase EBL coverage.